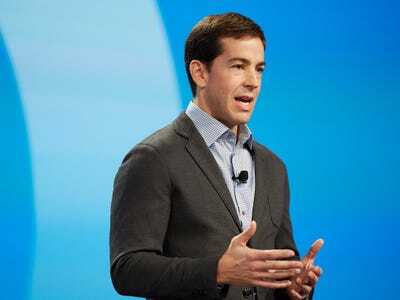 Okta, a cloud security startup valued at $1.2 billion, has hired banker Goldman Sachs, sources told Reuters reports, but the company is not looking to sell itself as the original report suggests, the company tells Business Insider. While the spokesperson we talked to wouldn’t confirm an IPO was in the works, she told us “We are not engaging bankers for a sale purpose,” and emphasised another time the company was not looking to sell. That pretty much leaves one obvious other reason to hire the banker, an IPO. With Twilio’s successful IPO today, the atmosphere for tech IPOs is starting to warm back up. Okta’s main product allows workers at companies to sign in to multiple cloud services with a single secure sign-on, and competes most directly with a Microsoft technology called Active Directory. It has raised a total of roughly $230 million to date, including a $75 million round in September, 2015. Its investors include Sequoia Capital, Andreessen Horowitz, Greylock Partners and Khosla Ventures, Janus Capital Group and Altimeter Capital. In the meantime, during the IPO chill, companies that didn’t feel they could hold out until the thaw, and either didn’t want to or couldn’t sell more equity to raise more venture investment, have been selling themselves. As Reuters points out, Okta competitor Ping Identity sold itself to a private equity Vista Equity Partners Management for a reported more than $600 million. Salesforce CEO Marc Benioff, one of the companies out buying, has called this one of the “most intense, most exciting” M&A season he’s ever seen. Startups, private companies and public companies are commanding large prices by selling themselves as bidding war mania takes hold. But this is not to be Okta’s fate, the company insists. So watch for IPO details as early as the second half of this year, Reuters reports.